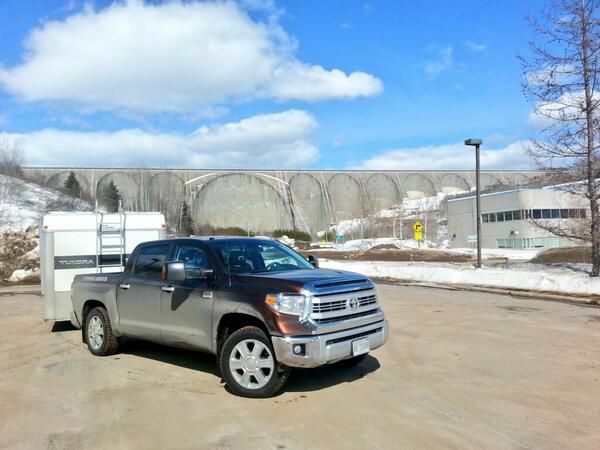 ​​(Toronto, ON – April 22, 2014) 2 Journalists and 2 crew took a redesigned 2014 Toyota Tundra CrewMax Platinum 1794 Edition and a 2007 Toyota Tundra DoubleCab 5.7L with over 100,000 km, plus a loaded 24’ trailer and left Toronto with a plan to travel to Corner Brook, NL via the Trans-Labrador Highway. The one way journey was to encompass 9 days and 3,000 km. When a ferry was cancelled, the journey turned into 10 days and just over 6,000 km; yet, the trucks, trailer and a road weary crew made it home to tell the tale. The two journalists, Howard Elmer and Éric Descarries are seasoned truck experts and their crew included Autoguide news editor Stephen Elmer as well as renowned videographer Dan Bailey. The story was intended to be about the 2 Tundras taking on a challenging road, but it became much more than that. The team met with Toyota dealers, associates, Home Hardware staff and customers, and a lot of friendly, hospitable people in every community along the way; they all became the highlight of the story. Make no mistake the trucks and team were ready for anything, in fact when the team learned that their ferry to Newfoundland was cancelled, they decided to turn around and head home. However, when they shared this plan through the various Tundra Labrador social media channels, local followers were not impressed, and they let the team know about it. 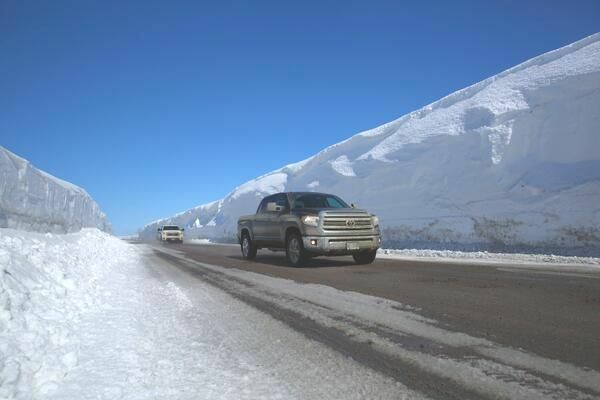 So the people spoke, and the Tundra Labrador team listened and took up the challenge to continue the journey to Port Hope Simpson, where they experienced the most severe section of the Trans-Labrador Highway. And instead of flying back home, the team decided to make the return drive all the way to Montreal and Toronto. So, the journalists challenged Toyota with the epic #TundraLabrador journey, and the completed trip demonstrated that the Tundra (both the 2014 and the 2007) is indeed designed and engineered to handle the toughest of roads in North America. To learn more about the Toyota Tundra, please visit Toyota.ca/Tundra. To view video, tweets, and posts from this epic journey, go to Tundra Labrador on Twitter, Facebook or YouTube, or follow #TundraLabrador.